/About My Account /Will my order history be in my account? 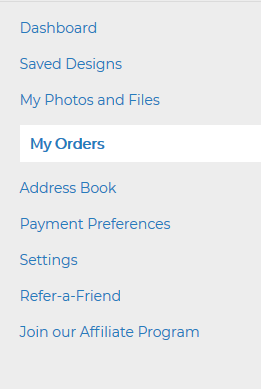 Yes, to access your order history, log in to your account and click on the Account icon at the top of the page and select “My Account” from the drop-down. This will take you to your Account’s Dashboard. From there, you can click on “My Orders” in the toolbar on the left side of the page. Once you’re there, you’ll be able to see a list of your past orders.